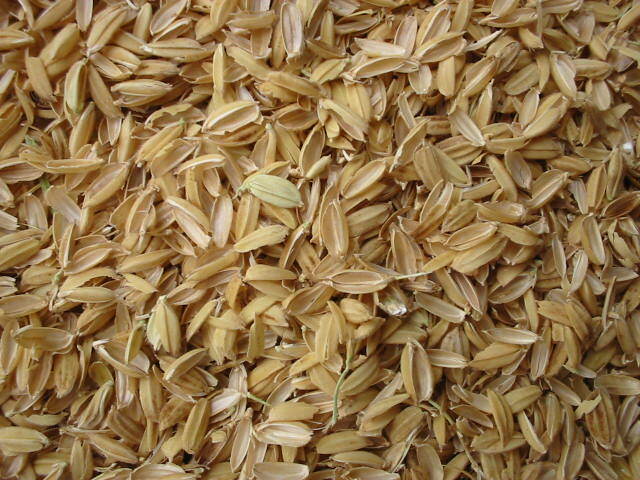 Description: When rice, one of India’s staple foods, is processed in mills to remove the chaff from the grain, billions of kilograms of husk is left behind as a waste product. 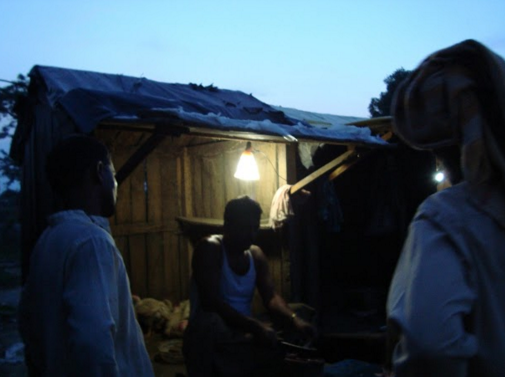 Start-up company Husk Power Systems, based in the north-eastern state of Bihar, decided to use the husk, largely going to waste, to light up rural homes that were not connected to the grid in the least developed West Champaran district. It is estimated that in Bihar State alone 1.8 billion kilograms of husk is generated annually as a by-product of rice processing. The entrepreneurs focused on developing a circuitry that turned rice husk and other biomass material into power in the most efficient manner. Each rice husk power plant, with a capacity of 30-35 kW, provides power for a few hours every evening to 400 homes in a 3-km radius at around Rs 100 a month. Started in 2007, the company says it has helped save 9,244,800 litres of kerosene and touched 200,000 lives. Along the way, it has received grants from the Shell Foundation and Alstom Foundation and has replicated the model in Nepal, Uganda and Tanzania. Why do we love it: Making an innovative use of an abundant waste material, Husk Power Systems is scaling up and providing an increasing number of offgrid households with renewable energy. Can you summarize Husk Power Systems in one sentence? Husk Power Systems provides « on-demand » affordable and renewable energy as pay-as-you-go service through its three phase AC powered mini-grids to rural households and small businesses in India and E. Africa. Where did the idea for Husk Power Systems come from? The idea came after looking at the enormity of the lack of access to power. Gyanesh was the protagonist who came up with the idea of providing gasification based renewable power using a de-centralized mini-grid network. We tried many technology back in 2007 and realized that Solar PV was 10x more expensive than they are today. More importantly, we realized that the rural areas produces plenty of biomass waste that could be used to generate power using gasification technology. How do you see Husk Power Systems’ future? We have recently deployed a Hybrid Power plant system that uses Solar PV for day time power supply and Biomass Gasification system for night time supply. We built this proprietary system in order to meet customers’ need for « on-demand » power. This is very different offering than the more commonly solutions like Solar Lanterns and small Solar Home Systems. Such products serve lighting and cell phone charging needs and are too expensive. Our mini-grid offers 3 phase power that can be used for lighting, TV, Fan, Refrigerator as well as to run Lathe Machines and agro-processing units like rice mills. We plan to expand our new Hybrid sites to 100 new locations in the coming two to three years in India and another 100 locations in E. Africa. These plants will impact over 60,000 households, which will get access to close to 24/7 power from Husk Power Systems mini-grids. If all your growing up years your world would plunge into darkness every evening, it is not a memory you easily forget. For Gyanesh Pandey and Ratnesh Yadav every meeting would at some point converge on their childhood days in the early 1990s spent without electricity in the rural areas of India’s eastern State of Bihar. Now university qualified, they vowed to bring light at the flick of a switch to the areas that were still not connected to the grid. To come up with an environment friendly and a viable venture, they roped in Manoj Sinha who had studied business management. This was in 2007, when still a third of the country’s population had no access to electricity. 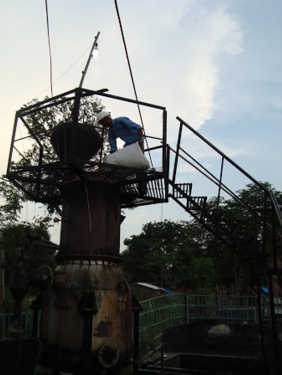 After an unsuccessful attempt to use Jatropha seeds to create biodiesel fuel, the friends zeroed in on rice husk, a waste product generated when rice, a staple food, is processed in the mill to remove the chaff from the grain. They found that in paddy growing Bihar alone an estimated 1.8 billion kilograms of husk was generated every year but put to no productive use. Launching their start-up company Husk Power Systems (HPS) in 2008 and beginning their operations in West Champaran district, the entrepreneurs focused on developing a circuitry that turned the biomass into power. With subsidy from the Central government’s Ministry of New and Renewable Energy, they designed a rice husk based power plant with a capacity of 30-35 kW that would provide electricity for 5-7 hours every evening to 400 homes in a 3-km radius. Customers had to pay Rs 150-160 per month for two CFL bulbs and a mobile charging unit. Smart pre-paid meters enabled them to pay more if they used TVs, refrigerators or ran commercial operations. “Earlier, as night came on we had to use kerosene lanterns or candles. Now, our children can study after dark and I can also keep my shop open,” says Ranjit, a butcher in Dahwa village. HPS soon spread its wings to eight districts including West and East Champaran, Samastipur, Motihari, Siwan, Muzaffarpur and Gopalganj. By 2011, there were around 70 mini biomass plants providing power to over one lakh people. The investment was small and in three months each plant would generate Rs 50,000 as revenue. They also trained local youth who would operate and maintain the plant and look into distribution and collections. “I was picked up for training and now earn Rs 6,500 per month,” says Ajit Kumar. Happily for HPS, funding came in several forms. Prize money from the Darden’s Annual Business Plan Competition at University of Virginia, Social Innovation Competition at University of Texas and the Ignite Clean Energy Competition at the Massachusetts Institute of Technology was ploughed into the business. The 1,20,000 pound International Ashden Award in 2011 proved to be the icing on the cake. UNFCCC also certified that the company’s 40 kVA biomass plant reduces 215 tonnes CO2 annually when it runs 5-6 hours a day, making it eligible for carbon credit transactions. It also received grants from the Shell Foundation and equity investments from social venture capital firms like Bamboo Finance, Acumen Fund and LGT Venture Philanthropy. On the ground, however, the company had its own complaints. It found it had left out several hamlets from its energy map as they were too far or sparsely populated. “We addressed the essential needs of this last rung through solar PV based DC micro-grids,” explains CEO Manoj Sinha. By 2014, the scenario changed once again. HPS found its customers no longer satisfied with eight hours of electricity. They wanted on-demand power (24X7). So, the start-up began looking for a partner to bundle biomass and solar in one hybrid synchronising unit for customers, so that solar-based electricity would serve them during the day and husk-based power after dusk. For its proprietary technology it found a partner in American photovoltaic manufacturer First Solar. 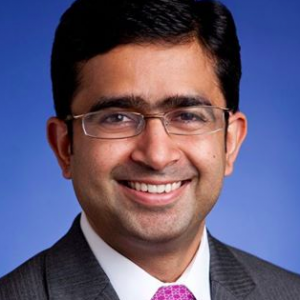 “As a strategic investor First Solar picked up equity and is providing solar panels at preferential pricing,” says Sinha, not revealing the exact equity ratio. In September, HPS set up its first hybrid unit at Manjhariya, Motihari, where along with the mini biomass plant 25-50 kW of solar panels provide seamless electricity 24X7. By December, three more such units will be put up. Though HPS innovated the technology in India, it now finds that it is easier to implement such projects in countries like Uganda and Tanzania. “They have clearer policies for small energy producers and provide exclusive rights for 8 to 10 years, while we commit on the tariff. There is no such assurance in India, making investors wary,” says Sinha. He fears that the State Electricity Board will expand in the districts where HPS is present creating challenges for their assets. Si votre enfance avait été bercée par un monde plongé dans le noir tous les soirs, vous ne pourriez pas effacer ces souvenirs de sitôt. À chaque fois que Gyanesh Pandey et Ratnesh Yadav se retrouvaient, ils se rappelaient leur enfance au début des années 1990, vécue sans électricité, dans les zones rurales de l’état du Bihar en Inde. Une fois diplômés de l’université, ils se sont promis d’offrir la lumière par une simple pression sur un interrupteur dans les zones qui n’étaient pas encore raccordées au réseau. Afin d’établir un programme viable et écologique, ils ont enrôlé Manoj Sinha, diplômé en gestion des affaires. C’était en 2007, alors qu’un tiers de la population du pays n’avait aucun accès à l’électricité. Suite à une tentative infructueuse d’utiliser les graines de jatropha pour créer du carburant biodiesel, les amis se sont intéressés aux bales du riz, un produit résiduaire généré lorsque le riz, une denrée de base, est passé dans le moulin pour retirer les enveloppes du grain. Ils ont découvert que, dans les rizières du Bihar, 1,8 milliards de kilogrammes de bales étaient générés chaque année mais sans utilisation productive. En fondant en 2008 leur nouvelle entreprise, Husk Power Systems (HPS), et en lançant leurs opérations dans le district du Champaran occidental, les entrepreneurs ont voulu développer un circuit qui permettait de transformer la biomasse en énergie. Grâce aux subventions du Ministère des nouvelles énergies renouvelables du gouvernement central, ils ont conçu une centrale électrique basée sur les bales de riz et dotée d’une capacité de 30-35 kW, soit 5 à 7 heures d’électricité chaque soir pour 400 familles dans un rayon de 3 kilomètres. Les clients devaient payer 150-160 roupies par mois pour deux ampoules LFC et une unité de chargement mobile. Un système de prépaiement basé sur des compteurs électriques intelligents permettait de les faire payer plus s’ils utilisaient la TV, un réfrigérateur ou réalisaient des opérations commerciales. « Avant, lorsque la nuit tombait, on devait utiliser des lanternes au kérosène ou des bougies. Maintenant, nos enfants peuvent étudier une fois la nuit tombée et je peux aussi laisser mon magasin ouvert », dit Ranjit, boucher du village Dahwa. HPS s’est rapidement étendu dans huit autres districts, notamment le Champaran occidental et oriental, Samastipur, Motihari, Siwan, Muzaffarpur et Gopalganj. En 2011, environ 70 mini centrales de biomasse fournissaient de l’énergie à plus de 100 000 personnes. L’investissement était faible et chaque centrale générait 50 000 roupies de revenu en trois mois. Ils ont également formé les jeunes des régions pour entretenir et travailler au sein de la centrale et surveiller la distribution et les réceptions. « J’ai été sélectionné pour la formation et je gagne maintenant 6 500 roupies par mois », dit Ajit Kumar. Heureusement pour HPS, les financements ont afflué de plusieurs manières. Les prix obtenus lors des Darden’s Annual Business Plan Competition à l’Université de Virginie, Social Innovation Competition à l’Université duTexas et de la Ignite Clean Energy Competition au Massachusetts Institute of Technology ont été investis dans l’entreprise. Le prix International Ashden de 120 000 livres obtenu en 2011 s’est révélé être la cerise sur le gâteau. La CCNUCC a également attesté le fait que la centrale de biomasse de 40 kWA de la société permet une réduction de 215 tonnes de CO2 par an en fonctionnant 5 à 6 heures par jours, ce qui la rend éligible aux transactions de crédits de carbone. Elle a également reçu des dons de la Shell Foundation et des placements en action de sociétés à capital-risque social comme Bamboo Finance, Acumen Fund et LGT Venture Philanthropy. Sur le terrain, la société devait néanmoins avait ses propres griefs. Elle constatait qu’elle avait oublié plusieurs hameaux dans sa carte énergétique, ceux-ci étant trop éloignés ou peu peuplés. « Nous avons répondu aux besoins essentiels de ce dernier groupe par le biais de micro-réseaux CC basés sur des panneaux photovoltaïques », explique Manoj Sinha, PDG. En 2014, le scénario a encore changé. HPS a constaté que ses clients n’étaient plus satisfaits par huit heures d’électricité. Ils voulaient de l’électricité à la demande (24h/24 et 7J/7). ‘entreprise a donc commencé à chercher un partenaire pour faire le lien entre la biomasse et le solaire dans une unité de synchronisation hybride pour les clients, afin que l’électricité solaire leur serve pendant la journée et que l’électricité à partir de bales de riz leur serve après la tombée de la nuit. Pour sa technologie propriétaire, elle a trouvé comme partenaire un fabricant de panneaux photovoltaïques américain, First Solar. « En tant qu’investisseur stratégique, First Solar a pris des actions et fourni des panneaux solaires à des prix préférentiels », dit Sinha, sans révéler le ratio exact. En septembre, HPS a lancé sa première unité hybride à Manjhariya (Motihari) où, avec la mini centrale de biomasse, 25-50 kW de panneaux solaires fournissent une électricité sans interruptions, 24 H/24 et 7J/7. En décembre, trois autres unités de ce type seront implantées. Bien que HPS ait innové la technologie en Inde, elle constate qu’il est très simple de mettre en œuvre de tels projets dans d’autres pays comme en Ouganda ou en Tanzanie. « Ils ont des politiques claires pour les petits producteurs d’énergie et offrent des droits exclusifs pour 8 à 10 ans, tant qu’on respecte les tarifs. Il n’y a aucune garantie de ce genre en Inde, ce qui rend les investisseurs plutôt méfiants », dit Sinha. Il craint que le State Electricity Board s’étende aux districts dans lesquels HPS est présent, et que cela n’affecte ses actifs.